I know some apps won't work on certain brands with the droid op system. Will you be using motorola droid x? I have a friend with a HTC and It won't run the same apps sometimes and vise versa. If it's even going to be an app at all. Can one use this just for the monitor functions or do you have to use the quad programing? Of course you can! See below. You can use it just for the monitoring. In addition to monitoring you also get a Turbo Timer, FP transducer and external EGT probe. For the 06 and newer trucks you can read and erase DTC's. 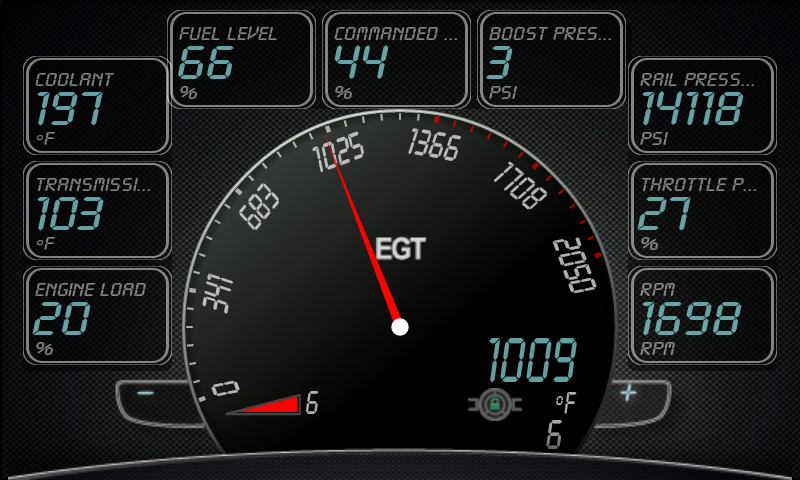 Because of the connections on the Adrenaline you also get accurate Rail and Boost gauges that are not obd2 limited. If you decide to use some of the power features it is all adjustable on the fly and you can also custom tune it on the fly. So if you want to add a little pressure or something you can do that really easily. The ADR's also all have our Max Mileage program in PL01 if you wanted to do that. Now, we have another product in the pipeline that works the same way but, is a lot less expensive. The downside is you don't get the Turbo Timer or the FP transducer and you cannot add power if you decide you want to later. Also if you use a boost fooler or a box that does boost fooling you will read the fooled value, same goes for Railpressure. If you are just using a programmer or running stock then it will be fine. This product is called the ViZion and should be shipping in the middle to end of July and will be somewhere in the low $200 range with the EGT kit (street price). It is also super easy to hook up. 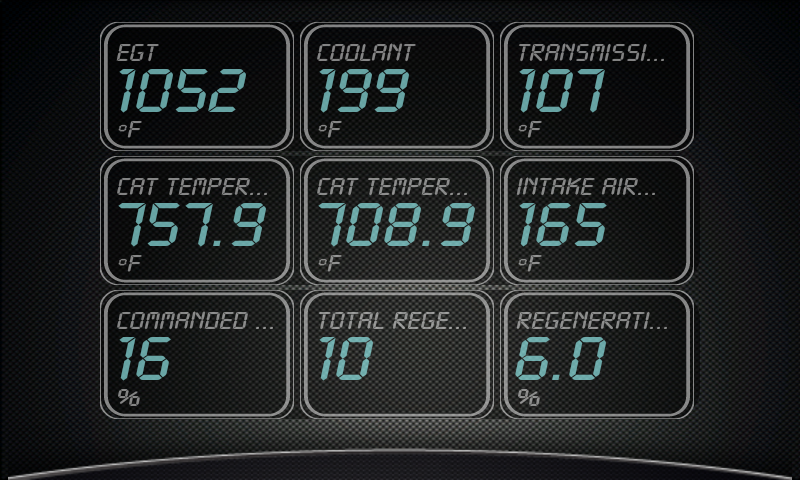 The App will look almost identical but, it will not have the power level indicators and some of the menus. It does have Smarty POD control though for the 06 newer trucks. Right now we have run some specials for our dealers and you can get the ADR's for a very reasonable price and the new Droid part#'s will be out tomorrow so if you consider all the features you get it is still a good deal even just for the gauges and turbo timer. Also, I have had some messages and emails after posting those screenshots about setting the display up. The Droid and Apple versions work the same way. 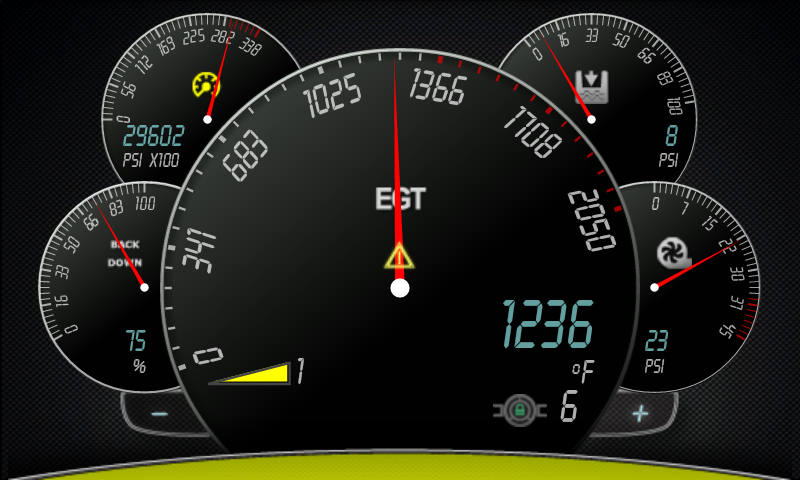 The home screen is the 5 analog gauges. With a simple finger swipe across the display you go to the analog/digital and another swipe goes to the all digital page. It is super simple. To set the gauges you just tough the bar that is highlighted yellow and drag it up and it opens the tray with all the parameters in it. Touch and hold the parameter you want to display for a second or two and it grows. Then drag and drop it into the location you want it. Its literally that easy. On the Droid version you can swipe either direction, on the apple you swipe right to left until the end and the other direction to go back. On the Droid it scrolls through so you can go from the 5 analog to all digital in 1 swipe if you want. Another thing that is coming very quickly via free app update are some diagnostic and troubleshooting screens inside the menu. Instead of having to make some parameters a "gauge" we grouped them together for a quick glance. This is handy for DTC related parameters as well as emissions or DPF related parameters. This way you are not taking up valuable gauge displays to see how long a check engine light has been on, or when it was cleared last or what an O2 sensor is reading. So how does this ap work? For this to work, do you have to have an adrenaline tuner, or can you buy just the wifi module and plug it in just to view temps, not to change power settings? WAAAYYYY COOOL!!! Bring it on! Great concept. I think I called this when you designed it for iproducts and you argued with me about where droid was headed in popularity. A while back my quad boost fooler started flaking out. Your tech support argued with me about it not being faulty. I gave up on it, but recently bought another one out of need (used this time as not wanting to give more money to quad), and one and it works perfect. The old one was indeed faulty exactly like I said. This kind of customer relation makes it hard to buy any more quad products. 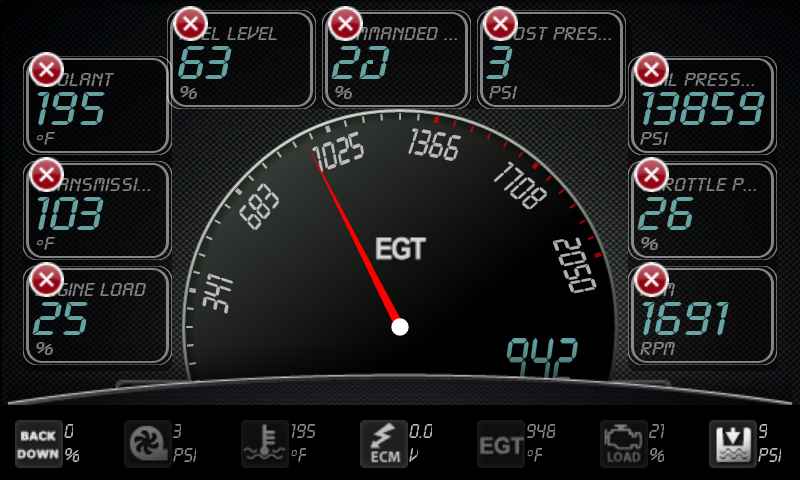 EFI live is here now..and appears to be the future, but monitoring like this is cool idea. 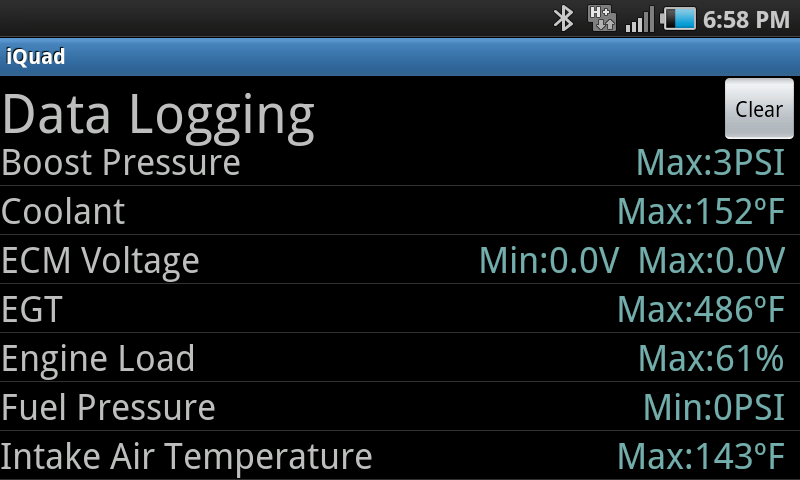 Torque (droid alternative to this in the market) uses bluetooth also. Good luck. It's a nice looking product. I'd love to be able to commit to it.